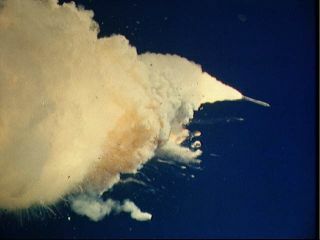 When Challenger was lost, the U.S. space program chose to not falter. This week, a team of scientists and engineers began a two-week field simulation of a mission to Mars. A twist on the Milky Way's natural beauty. The sun is our nearest star and the source of all our light and heat on Earth but recent reports have highlighted an ongoing steep decline in solar activity. What criteria should guide the naming, and renaming, of NASA centers? The Meteoric Rise of Life? Were life's origins aided by the impacts of asteroids and comets? NASA's planetary-science decisions are having negative and long-lasting impacts on the nation and its research workforce. With budget constraints and political challenges, what role do people play in future missions to Mars and beyond? Up in the Sky: It's a Nuclear Explosion! If you live in the southern hemisphere, you now can safely view the aftermath of a nuclear explosion from the comfort of your own backyard. For every The Social Network, however, there is a Hackers; likewise, rare accomplishments such as 2001: A Space Odyssey tend to be followed by a flurry of ill-advised imitators. Had the momentum of the 1960s been maintained over the next 40 years, there would be footprints on Mars by now. But after Apollo, the political impetus for manned spaceflight was lost. The top 10 breakthroughs in the story of humanity. If NASA were able to leave the rocket booster business, it could go back to true innovation. Scientists had always characterized comets and asteroids as completely different before NASA's Stardust Mission. Habitation of outer space needs solving air, water, energy and food supplies within a tight space. And this isn’t a problem of an apocalyptic, remote future. A volcano on Mercury may have been active over an unprecedented billion-year time span. With discussions around lunar mining intensifying, working out what to do with our moon’s cultural heritage is becoming urgent. With the second spacecraft this month now on its way to Mars, you could be forgiven for thinking we’ve forgotten that there is a number of other planets in our solar system. Not kidding. It is the same dust that was once part of comets and asteroids.